If I were ever to write a book, this is the book I would want to see my name on. The Lost Girl was not a novel I originally went into expecting to love, but surely enough, it has made its place in my heart and even now, days after putting it down, it hasn't left. Yet, more than that, I don't want it to. With her debut, Sangu Mandanna has created a piece of fiction that transcends all boundaries and explores, not only an unique futuristic society, but also the bonds of friendship, the ties of family, the depth of grief and most of all, what it means to be human. In all honesty, I can not explain the utter beauty that this book is. The Lost Girl is truly, in every sense of the word, a heart-wrenching tale that will keep you both reaching for the tissue boxes and stunned in horror. Mandanna’s futuristic world is one that is richly developed and filled with cut-throat politics. You see, echoes, or clones, are regarded as monsters in society and many of them are illegal in certain countries, including India. Yet, this doesn’t stop parents from requesting a carbon-copy of their children in the hopes that their grief will be alleviated through the presence of one who looks exactly like their deceased child. Thus, Weavers, enigmatic scientists who reside in England, create these echoes and while society shuns them, they live their life in perpetual fear of Hunters, people who dedicate their lives to wiping off all the echoes from the face of this planet. In The Lost Girl, however, we see life through the lens of Eva, an echo herself, and we see that she is just another teenage girl. Eva’s narration is filled with poignancy, an inner sorrow, and deep-rooted hope for her future. Throughout the novel, we only become closer and closer to Eva until her feelings are ours and it is impossible to tell where we, as readers, end and she, as a character, begins. The Lost Girl is truly a character-driven novel, but that does not make it a novel without a brilliant plot-line of its own. Eva has grown up in isolation, studying the life and memories of Amarra, the girl whose face she shares. Thus, when Amarra unexpectedly dies in a car crash, Eva is forced to leave behind the only life – and family – she has ever known and travel to India, forgoing her true nature and becoming Amarra once and for all. Yet, Eva and Amarra are completely different people and it is Eva’s struggle to remain true to herself and her personality in a world which demands she become someone else that is so moving. Mandanna writes with a skill that is unparalleled and she develops Eva’s character in a subtle, and utterly compelling, manner. We, as the reader, are with Eva every step of the way and cannot help but root for her to eventually find a solution to her dilemma and return home – to her home – England and finally be together with her family and not Amarra’s. The Lost Girl is split, roughly, into three sections, each of which detail a different part of Eva’s journey, but within the first section itself we are so invested in Eva’s life. We see Eva’s bond with Mina Ma, the mother figure of her life, and are exposed to the beautiful friendship which is just waiting to blossom into something more with her Guardian, Sean, and just as we have given our hearts out to Eva and her little world of happiness, it is snatched away from us. Eva’s life in the second section focuses on her journey in India as she assimilates with Amarra’s family, builds friendships with her siblings, makes friends of her own, and most confusing of all, battles with her emotions concerning Amarra’s boyfriend. Yet, there is no love triangle in this novel as Eva’s heart belongs solely with Sean. Nevertheless, there is a gentle exchange and slow build-up of beautiful friendships and for someone like Eva who has never been seen as a human, who has never attended a school and had friends, her self-realization and growth is astounding. Eva aside, Sean is one of my favorite aspects of this book. I loved the romance in this story and while it broke my heart, it made me swoon in equal part too. One of the things I admire the most about Mandanna’s writing is that each and every character she introduces us to has their own depth, their own perspective, and she enables us to see that about them. In terms of Sean and Eva, they are perfect and just click. In terms of other characters and their relationships to Eva, we are somehow able to understand them too, despite their convoluted-ness at times. Furthermore, their responses to Amarra’s death and the exploration of grief which Mandanna brings out through them are all written flawlessly. It is difficult to explain, but just know that her writing brought tears to my eyes and there were sections of this novel where I had to constantly dab my eyes just to read the words on the page. It pains me to admit, but my review for this novel is terrible. I loved this novel with a passion I have shown for very few books such as The Book Thief or anything written by Melina Marchetta, but it is difficult for me to put into words the beauty that this book has. It is written beautifully, it is character-driven, its cast contains depth, and its messages are provocative and sure to stick with you for days – if not years – to come. It is, hands down, the best debut I have had the pleasure of reading this year and is a novel I will, without a doubt, be reading again and again and again. I don’t know if there will be a sequel for this, especially as I am quite content with the open ending of this novel as it is, but if there is one, you can bet I’ll be groveling at Mandanna’s feet to receive an ARC. I really, really loved The Lost Girl. It takes a lot for a book to make me cry and even during The Book Thief or a Marchetta novel, I only cry once or twice. The Lost Girl? I was crying after Part I, during the beginning of Part II, after Part II, and on-and-off again during Part III. It was that type of novel. It is a story that truly makes you feel and it is so rare to read a novel like that these days. Truly, The Lost Girl is a gem in a genre of fiction I had nearly given up on, but just like Eva, Sangu Mandanna gives me hope for a glorious future. When I usually read books, I'm always that solitary reader who never knows what London or Dublin or San Francisco looks like, so I have to rely on my imagination to paint a picture of the scenery for me. Surprisingly, that was not the case with The Lost Girl. While much of this book is spent in England, an equal part is spent in the Bangalore, a city in South India where I've spent my summers for the past nine years at least, if not more. 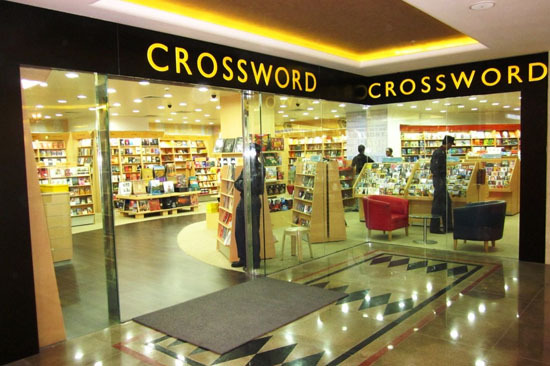 In The Lost Girl, Eva also visits two roads quite often - MG Road and Church Street. While I believe Church Street is mentioned more often, I am more familiar with MG Road as it's one of the busiest roads in the city. It is filled with shops and restaurants though, so it's wonderful to spend a day just roaming through the stores there as well! In addition to spending time in malls and streets with her friends, Eva visits Coffee Day very often. I guess Coffee Day is the equivalent of a Starbucks in India and it's a wonderful cafe to just sit and drink coffee with your friends. I actually go there quite often in the evenings sometimes, simply because I have a morning routine of drinking coffee with my grandparents on our balcony, but it's a wonderful coffee shop for sure! Indian Coffee, believe it or not, is very different from American Coffee and I actually prefer it in some ways, so I just adore this place! Amazing review, Keertana! Ever since Wendy and Lyn gave it glowing reviews, this has been on my radar, but now seeing a five star review from you, I'm in a rush to read it now more than ever. And I love your virtual tour! Very original! Aww, thank you Chel! I loved this book SO much and I'd highly recommend it, even though it is a tear-jerker. Honestly, those are the best kind of books and SEAN! How can he NOT be anyone's favorite character? ;) I can't wait till you read this one! Loved the little tour, haven't seen anything like it! It's a good thing I already own a copy, otherwise I'd be pulling my hair out right about now! Wonderful review, Keertana! We are similar in some ways, very critical and difficult to please, but when we love a book, we love it with all our hearts. I have a feeling this might be one of those books for me, as it was for you. And thank you so much for the virtual tour, I'll come back to it once I start reading for sure. Fantastic review....this book obviously spoke to you and all that crying....Yikes! I must now endeavor to get this book, you don't give high praise away easily and so this is now a must read for me! I really really want to read this book now. But my TBR pile is really high and I am on a book-buying ban. I hope I read it soon, though. I love the virtual tour idea. Yes, you MUST get to this one soon, Leanne! It's SO good! I loved it and I just know you'll appreciate it as well! Ahhh your reviews always make me want to check out the book! After reading it, I put this on hold at my library as it's currently on order! I haven't heard a bad thing about this book so I am incredibly excited to read it. It sounds so amazing and I love that it affected you so much. Not a terrible review at all. What are you TALKING about? If I hadn't already read and loved this book, I would be salivating all over myself to get a copy of it! This review is amazing. And I freaking looooooove the virtual tour of Bangalore. Thank you so much for posting those, Keertana. I really need to read this book Keertana! A heart-breaking and swoon-worthy relationship all in one? Yes, please. I'm already a little in love with Sean based on just the few things you had to say about him, and I LOVE that there's no love triangle and Eva knows exactly who her heart belongs too. Absolutely beautiful review! Fabulous review Keertana! :) I want to read this, especially when your love of the writing is equaled to your love of Melina's writing! Love the virtual tour! Awesome!! Did you take those pictures? There's only a single line that I greatly dislike in your review, "It pains me to admit, but my review for this novel is terrible. QUITE THE OPPOSITE. 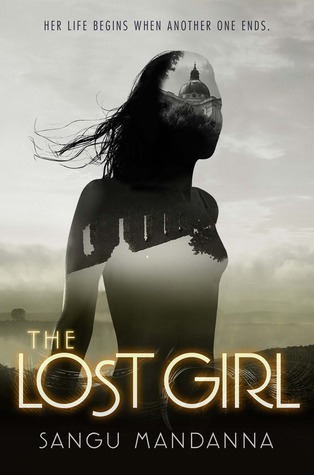 Not even kidding, your review had my heart both splintering over Eva's situation and pounding in excitement because goddamn, The Lost Girl sounds like everything I've been yearning for in a book lately. If I'm feeling emotional over Eva's plight from just a secondhand account of the story, then I can only imagine what effect the actual book will have on me. This is obviously a very, very Special Shelf novel and your review has absolutely done it justice. And I love your virtual tour!! The Garuda Mall.... five floors? That... blows my mind. I have never been to a mall with more than ONE floor haha. Eva also visits a coffee store and book store?! I LOVE THIS GIRL ALREADY. I think it's awesome that you've visited all these places yourself, it makes it all the more exciting to read about them. This post? Love love love love x infinity and beyond. I'm not even sure I can wait until the Australian release to get my hands on this now!! YES, five floors! The mall I shop at in the US has two floors and I've been to one with three, but the Garuda Mall is just amazing! Yes, what's NOT to love about Eva? She. Is. Awesomeee! Still, I like the idea of the characters in-depth exploration and them having lots to offer. This book isn't out for a long time in the UK, so I'll have to wait again. I'm looking forward to this though after all the gushing you've had to do. Keertana, UGH. Your review is AMAZING. Yessss... I am 100% in agreement with everything you said in your review! I had NO idea just how powerful this book was going to be when I jumped on an ARC tour of it but I am so glad I did because this is definitely one of my favorite reads of the year as well! The Fed holds assets to manage the nation's money supply and influence the federal-funds rate, which banks charge each other on overnight loans. [url=http://officialcanadagoosesoutlet.ca]canada goose parka sale[/url] Kind of an unhealthy mental attitude - maybe this guy needs to get a life. It has been fully remodeled and already known as one of the finest Slot Car Facilities East of the Mississippi. Guess who wins. And, to some extent, the degree of our behavioral propriety is also governed by cues only taken through live environments. [url=http://www.vanessasac.com]boutiques vanessa bruno [/url] Companies (patrols) should carry their Company Emblem (Patrol flag) with them. Many organisms like the polar bear and snow owl are becoming extinct and we would not want anymore because of what pesticides would do to them.. If we do this, we will rotate clockwise until the west coast is facing northwest and Florida ends up around where Hawaii now resides. Et smil fra et familiemedlem kan varme op en k morgen, alligevel, du selv nu brug for jakker, der skal er helt sikkert inde i vinter. http://www.2012canadagoosepascher.fr Well good night.. So let me set the record straight. 16 beginning at 4:00pm. SHOP FOR THE CURE By purchasing select quality merchandise from our partners, you are helping to make a difference. [url=http://officialcanadagoosesoutlet.ca]canada goose parka sale[/url] The firmer varieties are delicious just saut in butter. plus, nothing is worse that acne! I went on it and it did clear my skin however, it made me super depressed. What I did was choose a wall. Thanks for the tour! I haven't read the book but its so cool to see that it corresponds with real places. I read your articles. It is simple but very accurate info… Many thanks for sharing this one.